Zachary Wood wants to be president. And he might make a good one. Wood, who as chief of the Williams group Uncomfortable Learning served as a lightning rod for campus anger and unrest for inviting controversial speakers such as John Derbyshire and Charles Murray to campus, is a self-proclaimed liberal social justice warrior. However, he is a not a radical leftist social justice warrior. As he chronicles in his memoir, Wood has a voracious appetite for knowledge and says the only way one can truly learn is by listening to, investigating, and then challenging those with whom you disagree. One cannot help but root for Wood while reading his life story; in his formative years he grew up with a mother saddled with mental illness, and later a father who was always working and didn’t talk to him much. 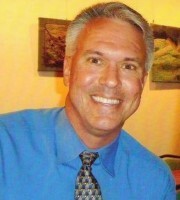 But make no mistake — despite their flaws, his parents were dedicated to their son (and other family), and perhaps the best evidence of this is the financial burden they bore (especially his father who juggled three jobs and averaged a mere three hours of sleep a night) by getting Zach into several elite private schools. “It was obvious many of the other kids […] had a lot of problems at home. They often came to without having eaten and wearing the same dirty clothes from the day before.” They got into fights, picked on those (like Zach) who were good students, and the school’s teachers, who “worked hard,” always “seemed exhausted.” In fact, part of that “exhaustion” was the catalyst for Wood’s move to private education: A teacher’s note on one of his report cards said he was “disruptive” in class for the grave offense of … asking too many questions. Wood encountered a gamut of racial experiences at the three private schools he attended. Many white students and teachers held typical stereotypes and tread delicately when interacting with him. Zach was keen enough to distinguish between words and actions purposely hurtful and those meant without malice; unfortunately however, Zach’s mother often would confront school officials at his first (private) school over the latter, and this led to Zach’s social ostracism. Wood also misses a opportunity to advocate for low socio-economic communities with his criticism of how elite private institutions handle their wealth. 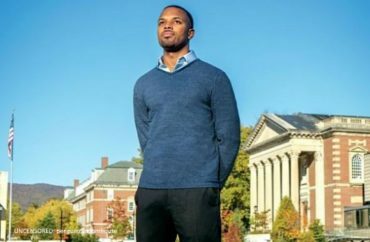 He argues these schools “care more about their endowments and reputations” than diversity, don’t adequately realize the difficulties faced by poor minority students, and that much more generous financial aid should be offered. So … why not take this a step further and argue for comprehensive school choice — including (private) school vouchers? While there is much in Wood’s memoir to make conservatives think to themselves “So nice to see an intelligent common-sense progressive!” (like his description of Roeper), make no mistake — Wood is pro-affirmative action and highly critical of white privilege. 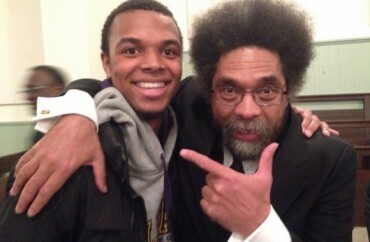 One of his intellectual heroes is Cornel West. He was on the board of his college’s Black Student Union. Nevertheless, before casting any second-thought knee-jerk judgments conservatives would do well to emulate how Wood approaches the issues: listening, reflecting, and debating. For example, when it comes to white privilege, The Weekly Standard’s David Marcus said that the concept, often derisively dismissed by many on the right, actually has merit — it’s the solutions that progressives come up with for it that are the problem. Regarding Wood’s approach, the first aspect — listening — may be the most important. Having taught poor inner-city young teens myself, I empathize with Woods’ plea to listen to what many such students have to deal with on a daily basis. It was quite eye-raising to read Zach’s daily routine while he was in school (which was busy enough with all of his extracurricular activities): long commutes to and from school on public transportation through crumbling and violent neighborhoods, a structurally unsound home, constant worries about money, and having to literally transform his personality while zigzagging between two disparate worlds. Zachary has another twelve to thirteen years before he can attempt to realize his ultimate dream of becoming the nation’s chief exec. If I may be so bold to offer a smidgen of advice it would be this: I know Barack Obama is a person you admire, but avoid the “pure intellectuality” that embodied his administration. You have already experienced the low and high ends of the socio-economic spectrum; now be certain to get to get acquainted with the middle — all races, ethnicities, and backgrounds. Oh, and be sure to get out of academia … at least for a little while!